Health & BeautyNOW Foods Panax Ginseng - 100kaps. 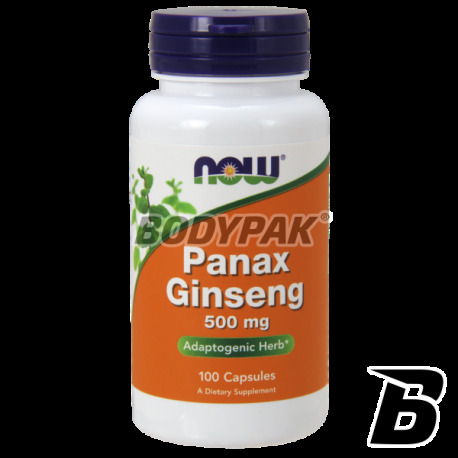 NOW Foods Panax Ginseng - 100kaps. Żeń-szeń jest legendarną rośliną medycyny dalekowschodniej, głównie chińskiej. Panax Ginseng od firmy Now Foodsto środek pomagający przezwyciężyć ogólne zmęczenie i dostarczający dodatkowej energii. 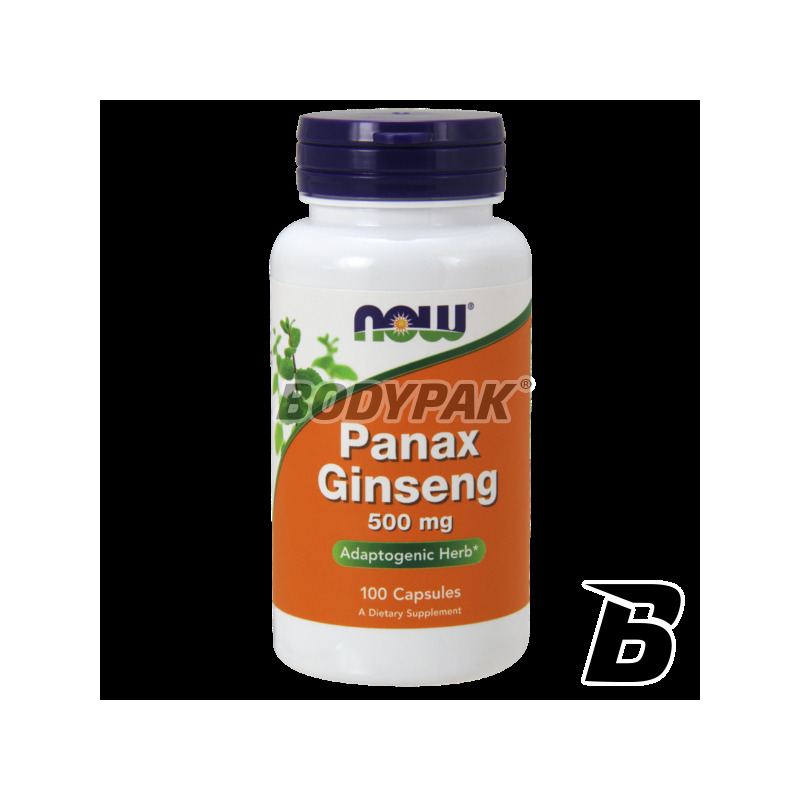 NOW Foods Panax Ginseng - 250 kaps. It not without significance is the fact that Ginseng Latin name. Panax, a word derived from Greek and means "cure all". It has a stimulating effect on both the realm of mental and physical body. Used by the Chinese for almost five thousand years, it is still considered a preventive measure and cure for many almost all ills. It causes mild laxative, which allows faster removal of toxins from the body. For centuries, it was treated also as an aphrodisiac. By women he was regarded as a substance raising their sexual needs. Thanks to the effect of stimulating the men raised his help with your potency. Ginseng contains micro- and macroelements, trace elements and vitamins: vitamin A, vitamin C, calcium, copper, phosphorus, zinc, potassium, iron, magnesium, sodium, and 16 types of ginsenosides. In the production of the preparation Now Foods Panax Ginseng has reached the root of the product so obtained with an extremely high content of ginsenosides. The single dose is at least 5% of biologically active ingredients (gnizenozydów) and, as the researchers should only be used dietary supplements, which contain min 4% and 7% max. It can be used to improve academic performance, enhance concentration, in the case of fatigue, fatigue or long-term, increased physical or mental. With ginseng circulatory system works efficiently and provides the cells with more oxygen and nutrients, and well-fed cells slowly grow old. High-quality preparation which is a rich source of probiotics, so titrated doses to ensure rapid renewal of natural intestinal microflora. Recommended for all persons who are after antibiotic therapy!